Is “Cloud Native” just another overhyped, marketing driven buzz word, or is there real meaning and importance behind the term? 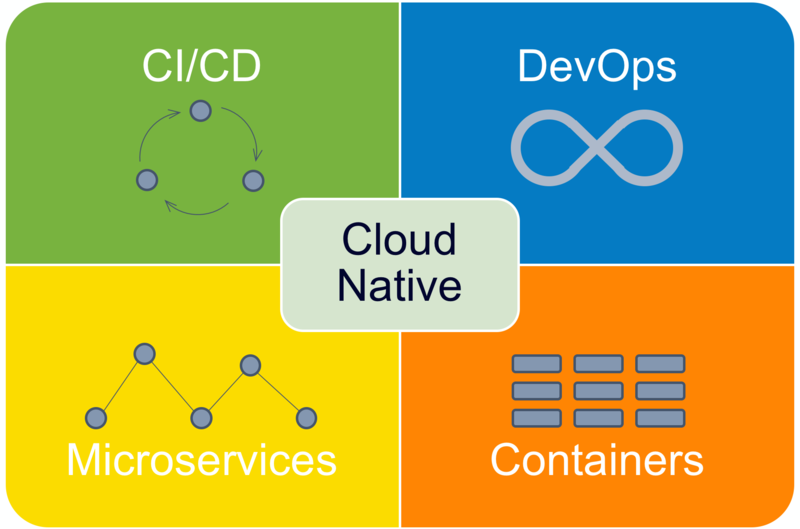 You’ve probably heard at least a dozen people in the last week say the words “Cloud Native” when talking – or writing some blog. And you probably have some picture in your head of what that is. But do you really, truly know what Cloud Native computing is? Because Cloud Native is more than just a buzzword. It’s a complete methodology – of design, of technology choices, of architecture – and of operations. To better understand how this is so different, let’s quickly review how we arrived at the current state of Cloud Native. Traditionally, software applications have been developed in single projects and teams using one shared codebase and deployed as a single application. These monolithic applications were hard to maintain – changes had to be tightly managed as they were risky with many potential side effects. Updates, new features, and changes were massively slowed down by this approach and architecture. On the infrastructure side, two trends have helped to become more agile and fast – Cloud and Containers. Containers were the next revolution in infrastructure – small, isolated environments that made it easy to deploy and scale microservices; managed by schedulers like Kubernetes that help to manage the containers at runtime. Serverless is the next level of microservices, where infrastructure is totally abstracted from the execution of the microservice functions. Companies that want to perform in the new digitized world have to adopt Cloud Native to release software more frequently. Cloud Native provides companies with a “super power” to become faster in delivering software at higher scale, and with potentially lower cost! As with most super powers, Cloud Native also comes with some nasty side effects: Higher complexity and the pain of cultural change. Therefore, we want to examine the complexity of cloud native by taking a deeper look into monitoring, as complexity can only be managed with sufficient visibility. Manual health rules rapidly go out of date (deteriorate, stale) – Because of CI/CD, and especially in orchestrated environments (Kubernetes, OpenShift, Mesos, Swarm), the rules break down and no longer correlate properly. Instana’s mission is to enable organizations to achieve Cloud Native excellence by providing automated monitoring that delivers actionable information to everyone involved with application delivery and support.